It’s taken us almost a decade to get a Reuben up here. We had a terrible corned beef experience in 2015 that turned us off for good, so we never got around to revisiting this classic. Luckily we’ve been blessed with the generosity of our guest photographer, James O’Meara, who has been carrying the site on his back in 2019. 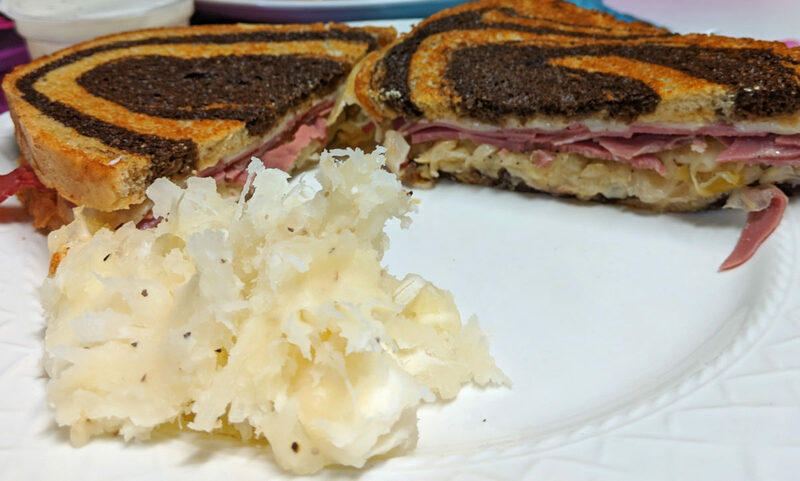 Here he combines all the makings of the deli staple: corned beef, swizz cheese, sauerkraut, and thousand island dressing, tucked between two slices of marbled rye.